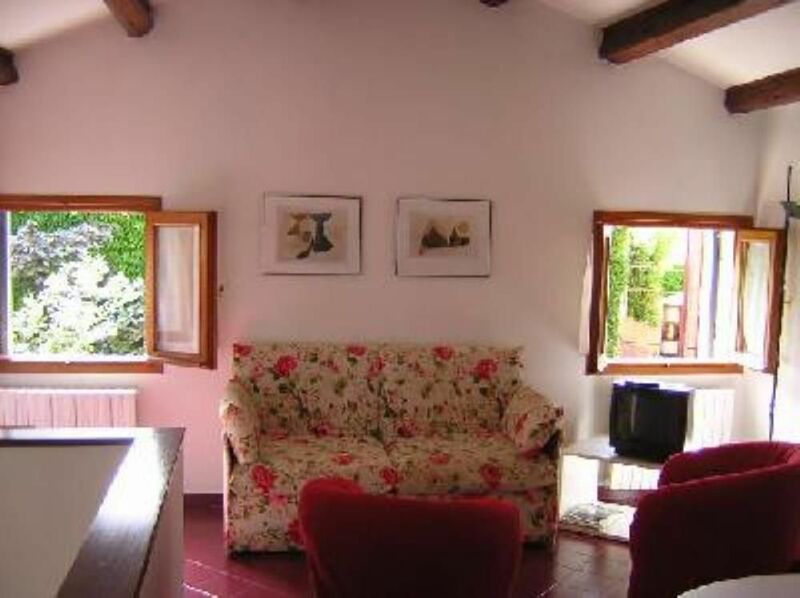 The apartment is positioned in an excellent location for visiting Venice. Only a few metres from the Grand Canal and a few minutes away from Campo Santo Stefano and the Accademia Bridge. It is ideal for walks round all the historical centre and in a quarter of an hour you can reach not only Rialto and Piazza San Marco, but also Zattere and the Salute Church.The house is also very well served by public transport and it is very easy to reach any area of the city: there are the 2 stops of San Samuele and Sant’Angelo a few metres from the house, with 3 lines of vaporetto (public boat) and 2 gondola-ferries that cross the Grand Canal to arrive in one minute at Ca’ Rezzonico (near Campo Santa Margherita, Ca’ Foscari), and at San Tomà (near the Frari Church, Campo San Polo). The apartment has the licence for rent to tourists issued by the municipality of Venice (regional law n. 33/2002). A lovely clean and quiet apartment in a great part of town. Very good for families. Mara was very proactive and helpful and the apartment was just right for a family of 4 visiting Venice for the first time. Close to major sights and vaparetto stops but away from the tourist trail. Clean, functional and with everything we needed for cooking and a few nice touches to make it feel like home. Very well located. Owner was very helpful and gave great tips about Venice. Spaces beautiful place highly recommend. The apartment is ideal for walking to the San Marcos square, water taxis, the Guggenheim museum and many restaurants etc. Beds were comfortable, and outside terrace an added bonus. Kitchen is very minimal, and two flights of stairs to reach the kitchen/ living room, was not so easy for seniors. Also, the security bars on doors and windows were unattractive and claustrophobic. The owner was very nice to deal with through the internet and supplies much useful information for visitors, and overall we were quite satisfied with our rental, and loved the city of Venice. The apartment is in 2 floors: from the 1° floor (bedrooms and bathrooms) there is one flight of stairs to reach the kitchen-living room and the terrace (2° floor). Gretings are in the windows of the 1° floor and in the door of the terrace. If you don’t like this safety mesure, you can open all the gretings with their keys. Nice little apartment In an excellent location near a vaporetto stop and easy walking distance to most areas. Very friendly. Apartment is comfortable and pleasant. When there was a minor problem it was dealt with immediately with no fuss. Lovely holiday here. We want to thank Mara for a great holiday. It was our first trip to Italy and it was wonderful. Besides cleanliness and comfort the apartment is very conveniently located. It is very important that we were pleased to return there every evening. We loved to talk with Mara and we got some of her tips with great benefit. Thank you very much Mara! "It was our best stay in Venice!! Very close to city centre, but at the same time very quiet. Just a minute from vaporetto stop San samuele and Academia bridge. Well equiped appartements with own terrace and two bath/toilets, it''s nearly a house (because it has three floors)!Very good and comfortable for 4 persons. We''re given many good advices from owner and agent! Thanks You for our wonderfull stay!" Arrivals and departures are very easy and comfortable. The public boats that leave the Airport Marco Polo, Railway Station of Santa Lucia, Tronchetto-Parking and Piazzale Roma all arrive at San Samuele or at Sant’Angelo stop almost next to the house. There is the added bonus of not having to cross a bridge between the San Samuele stop and the house! Ces prix sont pour 2 personnes (chauffage, linge de lit et de toilette inclus), plus 12 € par nuit pour la troisième personne, plus 12 € pour la quatrième personne. Le nettoyage final (40 €) ne sont pas inclus dans ces tarifs. Diese Preise sind für 2 Personen (Heizung, Bettwäsche und Handtücher inklusive), plus € 12 pro Nacht für die dritte Person plus € 12 für die vierte Person. Die Endreinigung (40 €) ist nicht in diesen Preisen enthalten. These prices are for 2 persons (heating, bed linen and towels included)., plus € 12 per night for the third person, plus € 12 for the fourth person The final cleaning (€40) is not included in these rates.